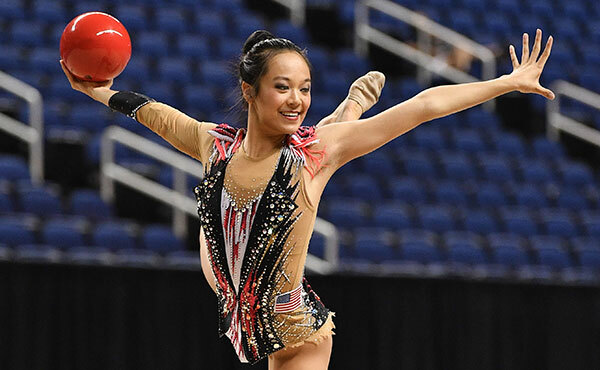 MONTREAL, Quebec, Canada, Oct. 7, 2017 - Rookie pair Jade Carey and Yul Moldauer added silver and bronze to the United States’ World Championships medal haul on Saturday thanks to outstanding debuts. Carey, competing in only her fourth elite event, won silver on the women’s vault while all-around finalist Moldauer secured a surprise bronze for the United States on the floor exercise. The U.S. has now won three medals in Montreal following Morgan Hurd’s all-around women’s gold on Friday. Carey’s average score of 14.766 saw her finish second to Olympic silver medalist Maria Paseka of Russia, who won her second-straight world title with an average score of 14.850. Olympic bronze winner Giulia Steingruber of Switzerland finished behind Carey in third with an average of 14.466. The U.S. has dominated the event with 12 medals since 2003 - the last time it failed to reach the vault podium . The excitement of a debut Worlds certainly got to Carey on her opening performance as the vaulter scored high - 14.800 - for her Amanar but also lost points on her landing, taking two bounding steps forward. The 17-year-old steadied her nerves on the second attempt and nearly stuck a Kasamatsu full for 14.733 and an average score of 14.766. “It really is a dream come true. I never thought this would be happening to me here today but here I am. 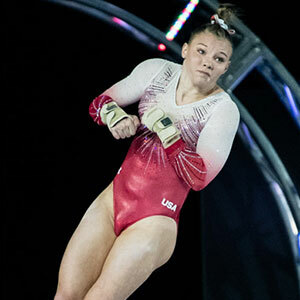 It was really inspiring (and) motivating,” said Carey, who has only been in the elite gymnastics fold for eight months. 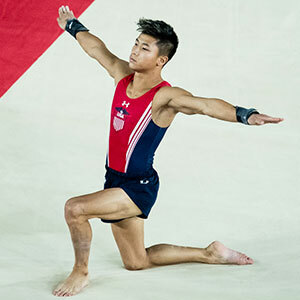 Moldauer, who finished seventh in the all-around final on Thursday, secured a first floor medal for the U.S. since 2013 thanks to an clean, energetic routine. Japan’s Kenzo Shirai was too strong for the field, scoring a second straight gold on 15.633 ahead of Israel’s Artem Dolgopyat in second (14.533). “I’m still shocked,” said Moldauer, who finished full of adrenaline, clasping his hand to his ear to encourage the crowd before pumping his arms in celebration. “Go crazy and let it out, its a performance, so put on a show,” the 21-year-old said. The crowd responded, especially during an impressive and pinpoint flair routine. 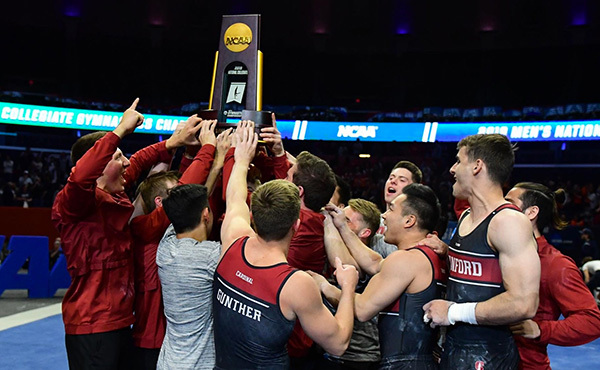 Being the fifth performer meant Moldauer had to wait through four more routines (a ninth qualifier was added due to a faulty floor in qualifying), including his teammate Donnell Whittenburg. Whittenburg finished strong but his routine score of 14.166 left him sixth. 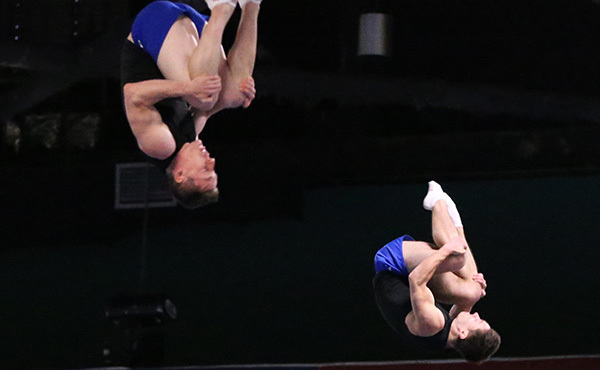 While Moldauer and Carey set the stage for a promising American day, it was not to be on the pommel horse and uneven bars where Alex Naddour and Asthon Locklear finished out of the medals. Naddour’s performance just missed the podium, after a second-best qualifying score that set up high expectations coming into the competition. Naddour was forced to open the event and his score of 14.750 looked unlikely to hold up barring some unfortunate mistakes by the competition. Ultimately, it was Olympic champion Max Whitlock’s winning routine of 15.441 that knocked Naddour off the podium, with the Brit earning a second-straight Worlds gold. 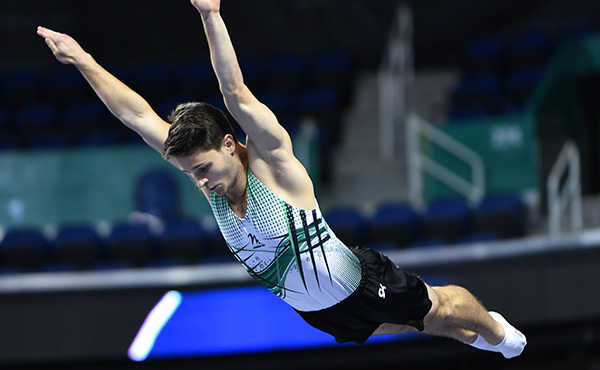 Russia’s David Belyavskiy won silver with a score of 15.100, ahead of Xiao Ruoteng of China (15.066), the all-around champion from Thursday. 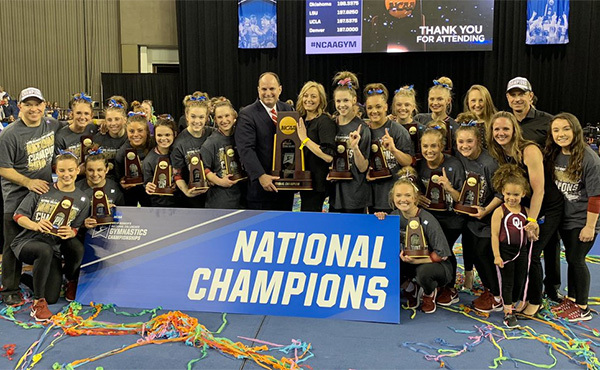 Locklear said a shoulder injury had likely played a role as she fell from the bars during her routine, eventually finishing in tears with a last-place score of 12.766. China’s Yilin Fan won the gold.